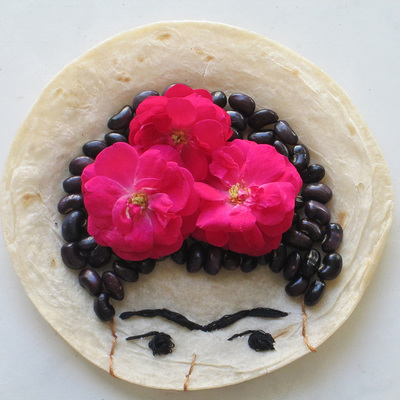 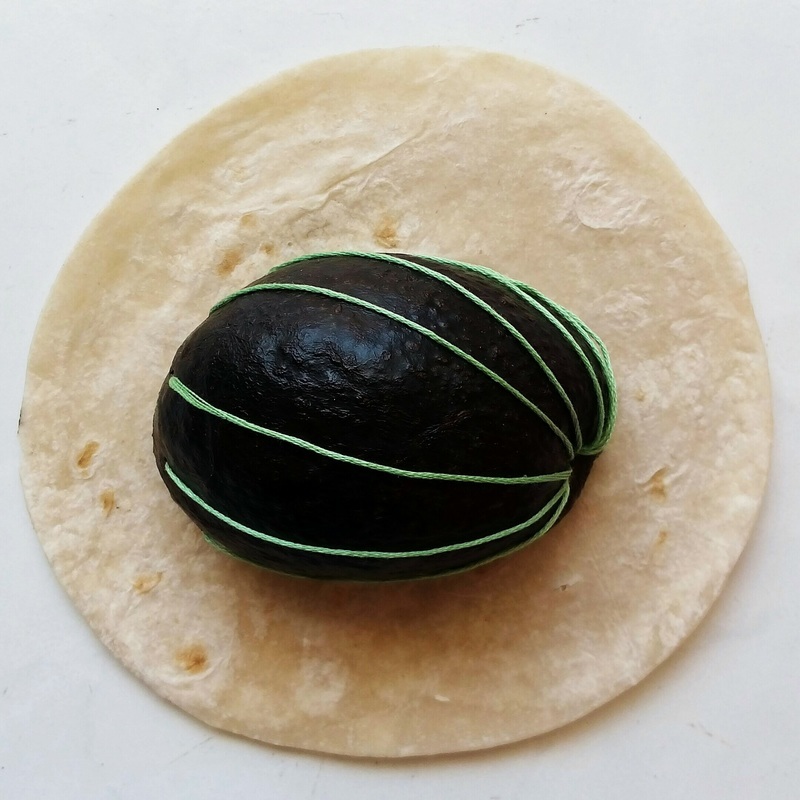 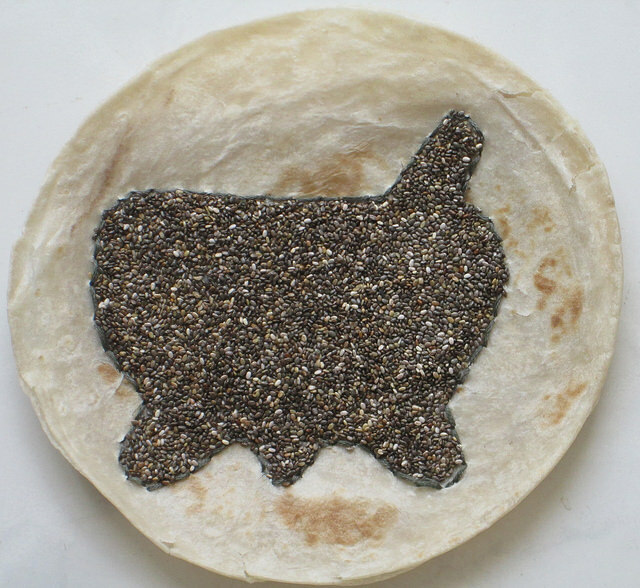 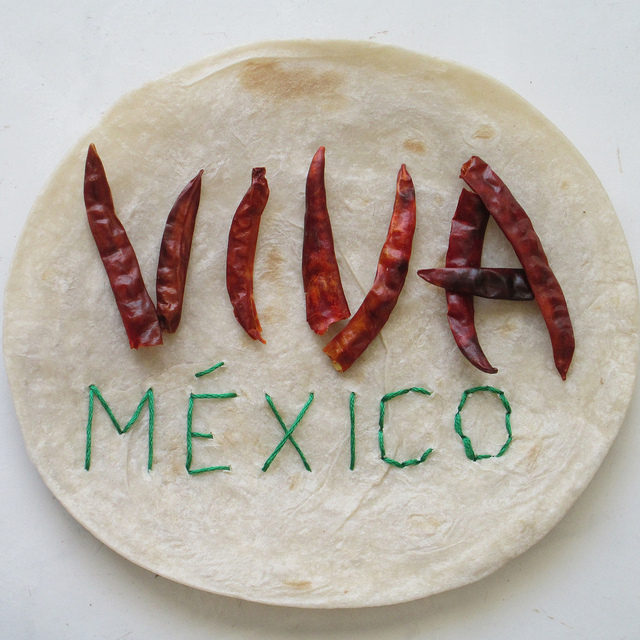 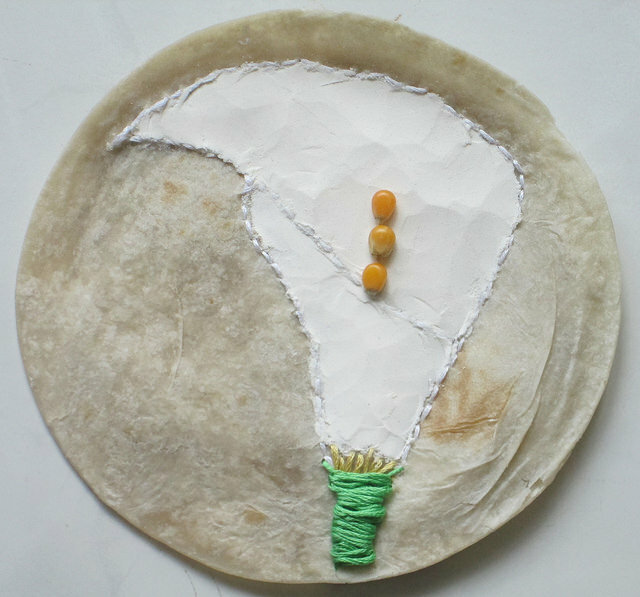 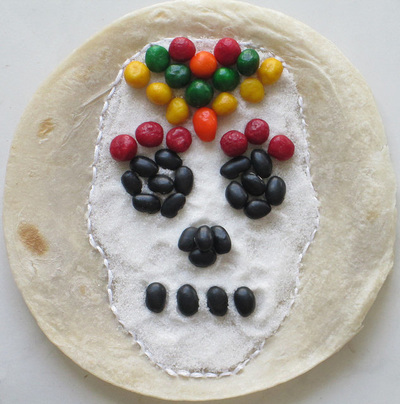 In honor of Mexican Independence Day, I created a whimsical series using embroidery and everyday items on tortillas. I loved the challenge of working with perishables, and was inspired by the ephemeral quality of each. 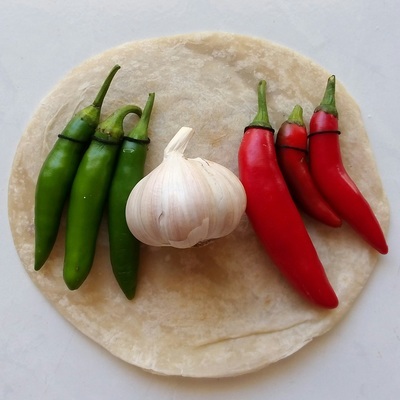 I chose ingredients found in any Mexican kitchen, and bought these at our local outdoor market in Campeche. 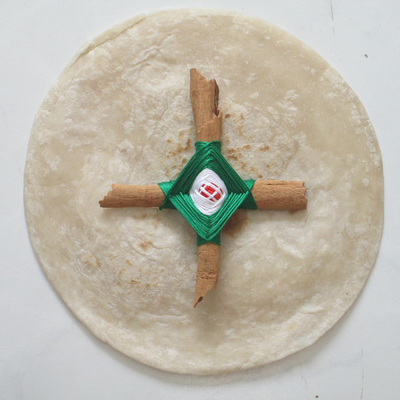 (It would have been easier if I had used packaged tortillas--they're thicker--but I chose to buy fresh tortillas from the lady down the street.) I have so much affection for Mexico, its people and its colorful traditions!